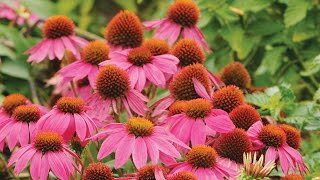 This Burpee introduction has become one of the most popular perennials in recent years. Full, well branched plants grow 2 1/2-3' tall when situated in full sun. Flower spikes are covered with beautiful florets in shades of buff, lavender and soft rose. Primary bloom begins in June and is followed by a lighter bloom period that continues into September. Wonderful in fresh arrangements. Remove spent flower spikes to encourage more bloom. Verbascum, Southern Charm Hybrid is rated 3.8 out of 5 by 18. Rated 5 out of 5 by Kondors Garden from Beautiful from seed I have started Southern Charm seeds in late Jan inside under a red/blue led light two years in a row. They transplant easily and bloom the first year. I loved them so much the first year that I wanted more. As you can see, the mix has a lovely range of muted colors- perfect for my cottage garden. They grow at least 36 inches here in zone 8a and stand up to wind and rain. When the spikes get leggy, simply cut them back and a new show will begin. These are gorgeous in bouquets and have a good vase life. I like to use them with roses. Rated 5 out of 5 by Sweet peas and Yarrow from A Must Have 3rd year I will be buying more seeds, because I can't get enough of these. One of my favorites! Drought, heat and cold tolerant. Blooms all summer, specially the 2 year old plants. 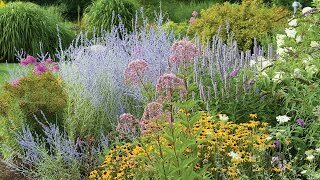 Beautiful range of colors goes well with purples, greens, fushias, and dark burgundy flowers. Rated 2 out of 5 by newleaf from So disappointed! Sadly, my seeds never germinated. I started some in the greenhouse and sowed more directly in my garden to no avail. I still have a few and I will try again next year. Rated 1 out of 5 by Livy from No-Show I love this verbascum! I started two plants from seed a few years ago, and they are doing well. But twice I have bought packets and tried to start more, and the seeds have failed to germinate. It may have to do with the coating on the individual seeds. After this, I will try to harvest seeds from the plants I have. Rated 5 out of 5 by Sutherngrrrl from Stunning, as promised I planted these verbascum next to my front-facing house, and in front of roses. All four plants grew to full height quickly and flowered over and over. It's early spring and the green is already popping up from the ground. Very hard and as beautiful as the photos show. Rated 2 out of 5 by Jo 123 from Seeds If I could make the seeds grow better, but they didn't. I think I should buy plants. Rated 5 out of 5 by Donthaveone from Great in zone 3 I have grown verbascum in zone 3 for at least 10 yrs, even on the outside of a raised bed. Don't be afraid to try it.